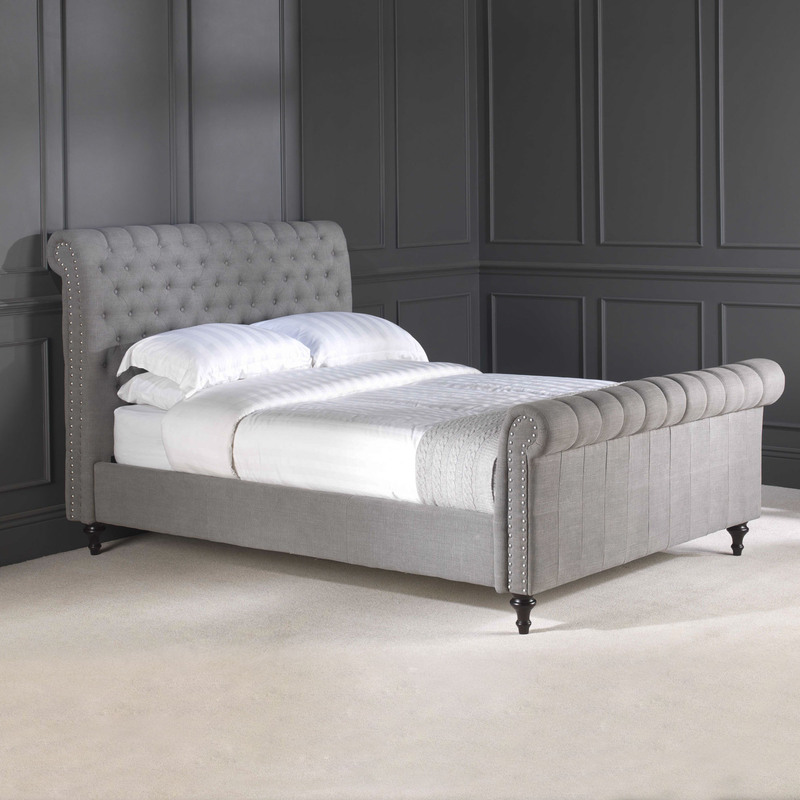 The style, construction and comfort of a fine Chesterfield bed, brought to the bedroom and sloped to a most inviting angle of repose. 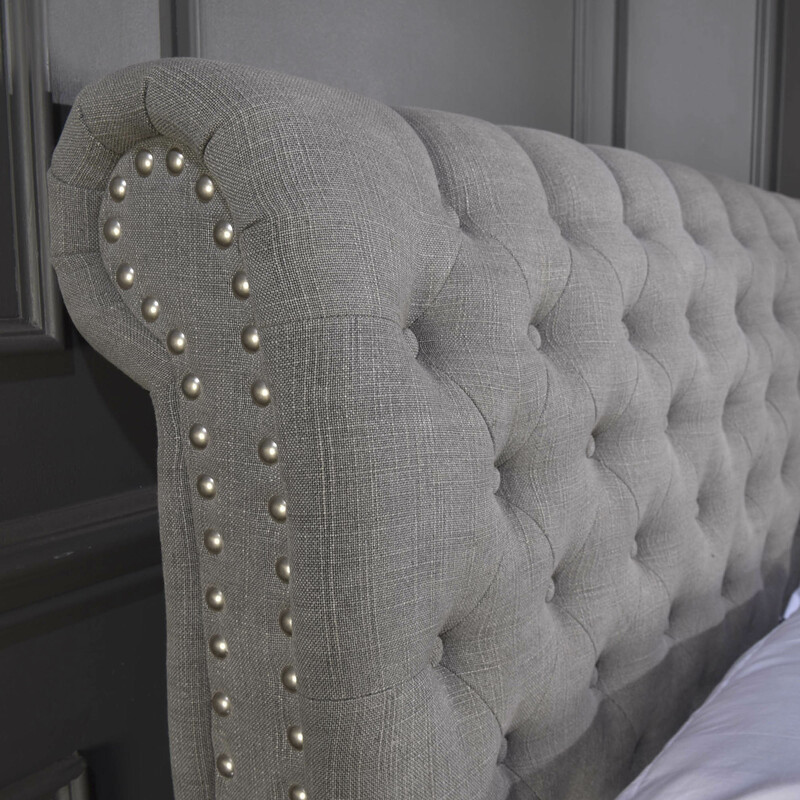 Generously padded, our bed features deep hand tufting a style perfected during the Victorian and Edwardian eras accented with upholstery tacks. Part of our new premium range. Handcrafted of kiln-dried solid hardwood frames. 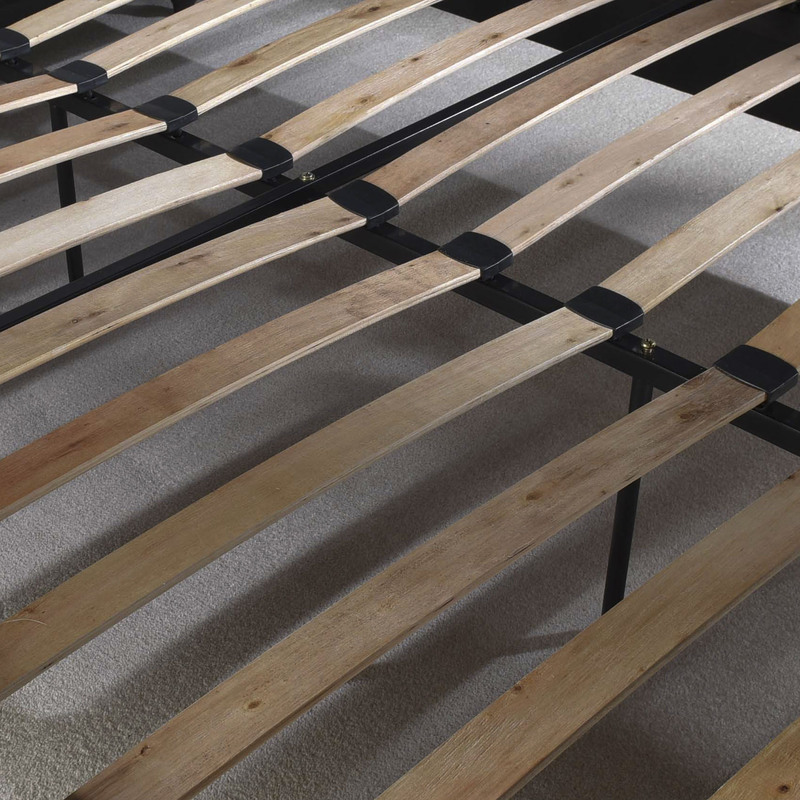 Includes sprung support Beech slats system. 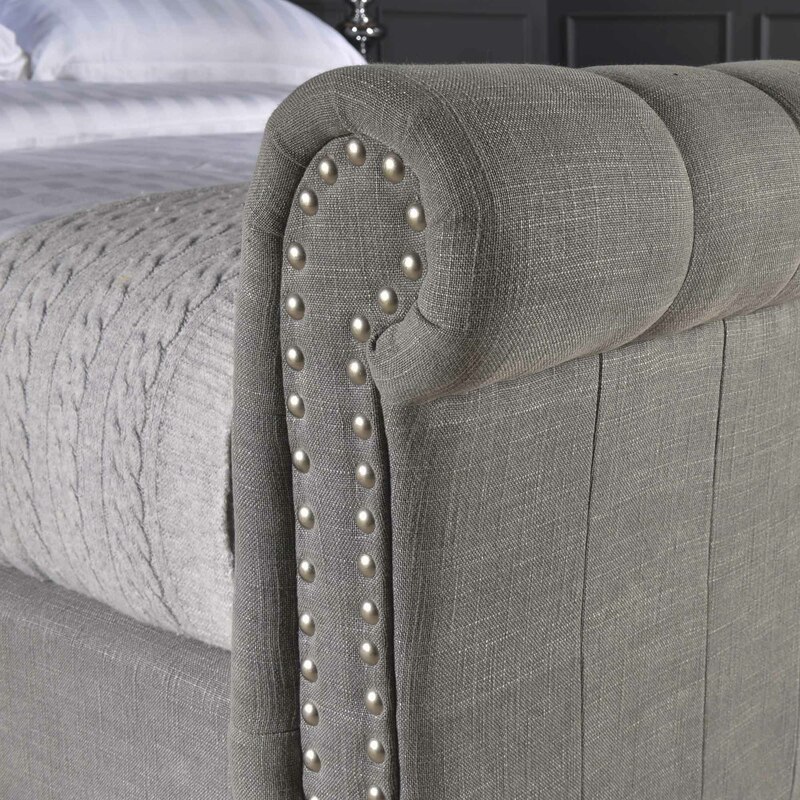 Hand-hammered exposed upholstery tacks reflect artisan tailoring. 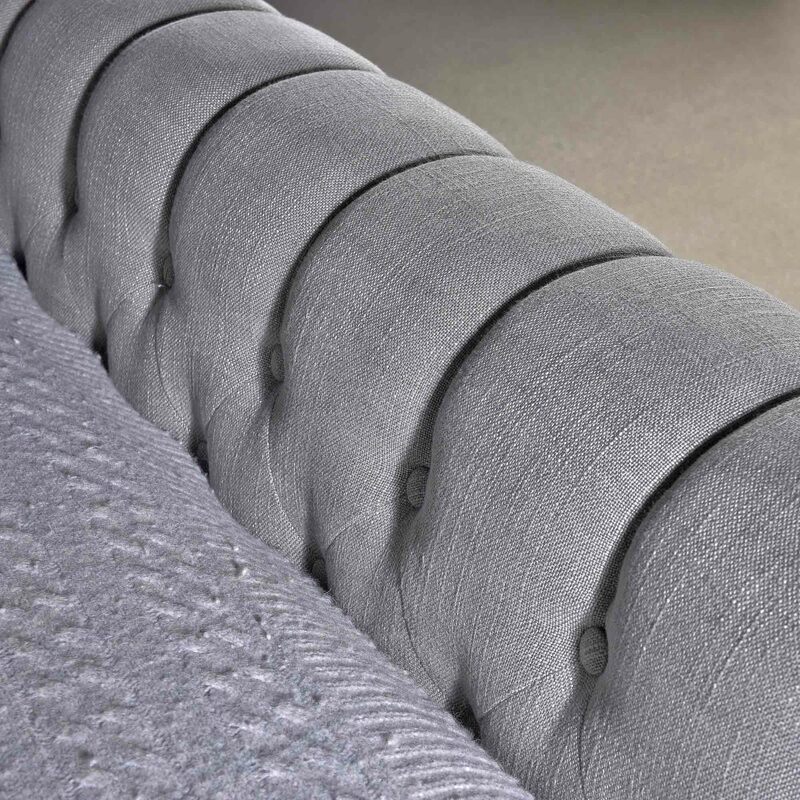 Upholstered in a luxioriously soft Steel linen fabric.